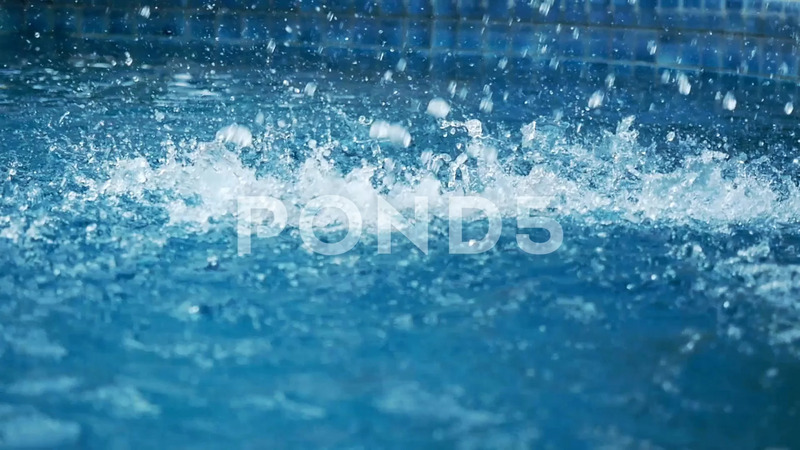 Description: Waterfall drops fall on the swimming pool surface. slow motion. 1920x1080.